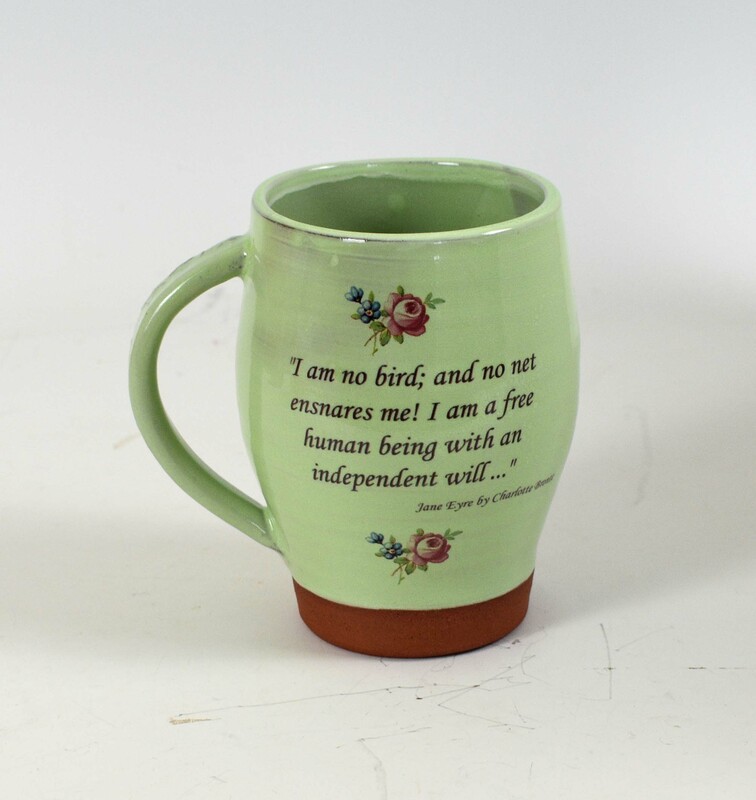 This handmade green Jane Eyre mug would make a perfect present for a fan of the Bronte sisters, particularly Charlotte Bronte. 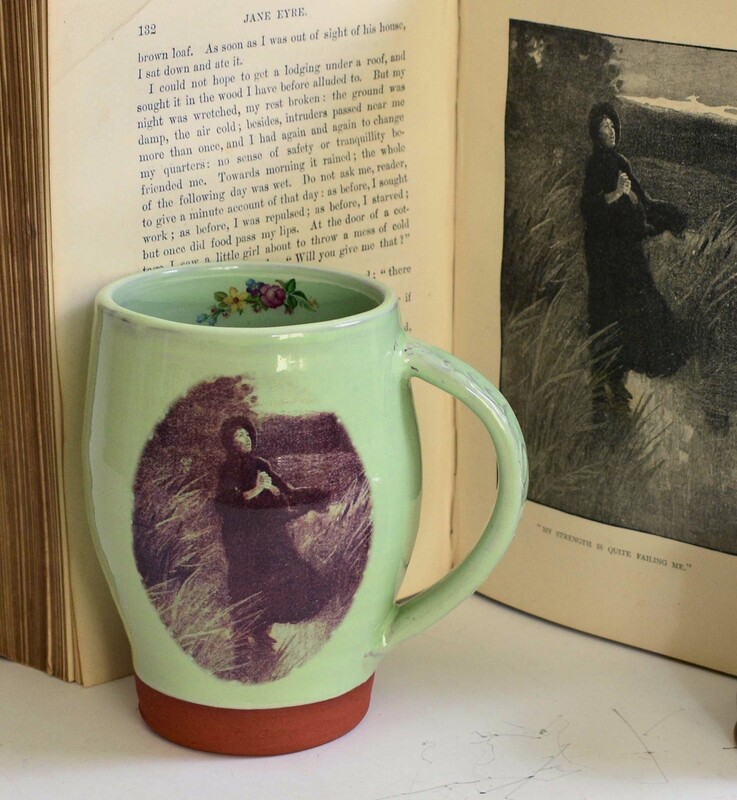 The’ mug features a vintage illustration from an 1890s edition of ‘Jane Eyre’ by Charlotte Bronte on the front. 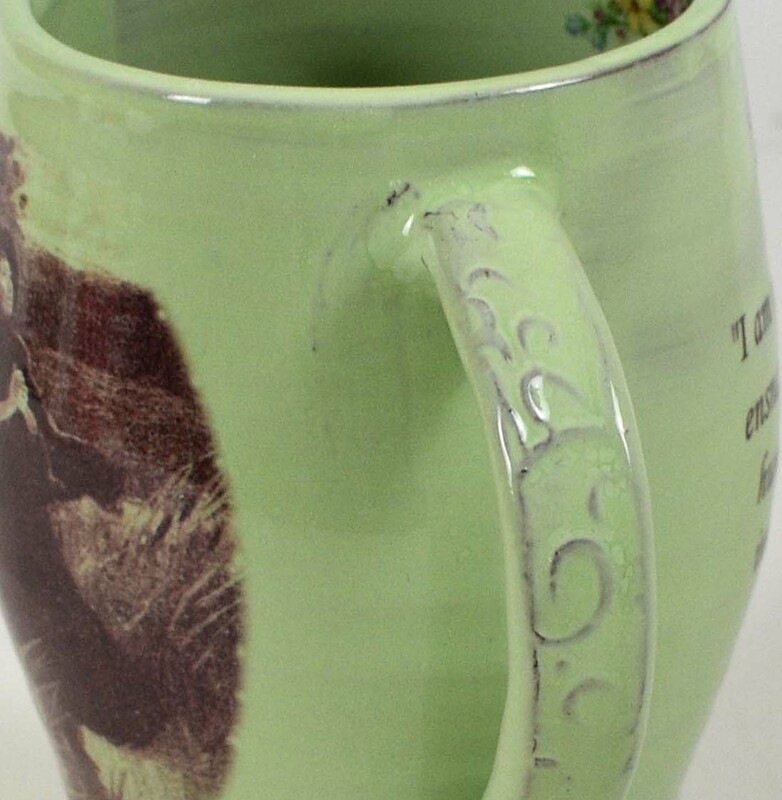 The illustration is by Edmund H Garrett.